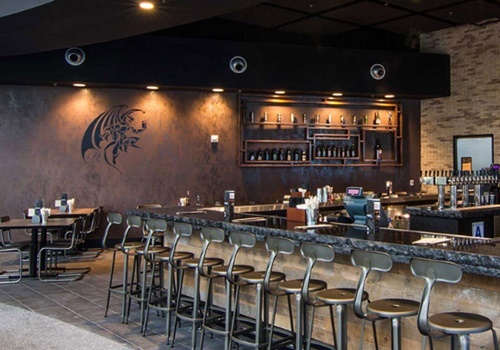 If you visit Coronado Brewing Company you can enjoy a fun and casual atmosphere while sipping on delicious craft beers and enjoying elevated bar food from fish tacos and quesadillas to pizzas and calzones. 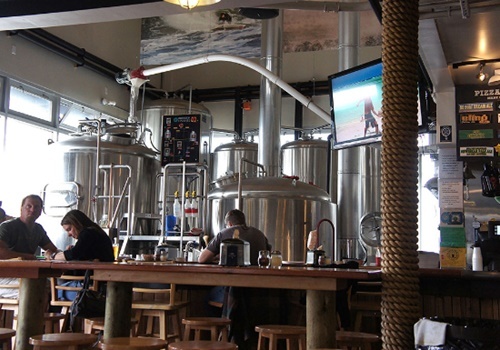 The Coronado Brewing Company also has a tasting room at the production facility in San Diego. Beer enthusiasts can taste samples of the brewery’s entire line of craft beers, including special releases and cask offerings. Located Downtown at the corner of 14th and L (1441 L Street, San Diego 92101), Mission Brewery serves up some delicious handcrafted beers, including the Mission Blonde, Bavarian Hefeweizen, Mission Amber, Shipwrecked Double IPA, an American-style IPA and a Belgian-style Saison, among others. There is definitely something for everyone at Mission Brewery. 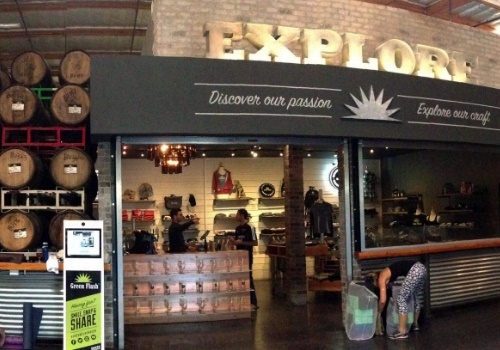 San Diego locals rave about Mission Brewery’s beer selection, saying that they pack a punch. As San Diego’s original microbrewery, Karl Strauss has set the bar for local breweries. 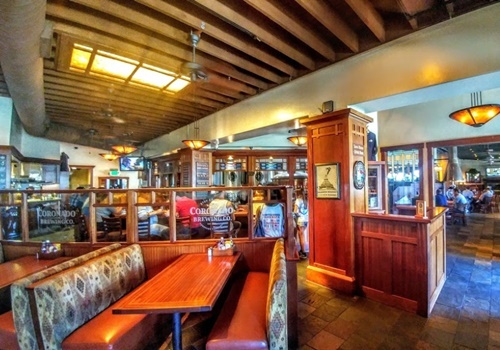 Known for its award-winning craft beers and seven breweries located throughout San Diego County, Los Angeles, and Orange County, Karl Strauss is a San Diego favorite for sure. Karl Strauss brews over 30 beers each year, including six signature beers and a long list of specialty and seasonal beers. Green Flash Brewing Co. focuses on creating unique, premium style beers with modern twists on tradition styles. Its brew makers thrive on creating assertive and distinctive beers and are known for being on the cutting edge of beer making. The tasting room and beer garden, located in San Diego is large, but inviting and can accommodate private parties up to 500. Guests can usually enjoy tasty offerings from local food trucks parked in the beer garden. Stone Brewing Co., located in Escondido, offers guests more than samples of good beer. The Stone Brewing World Bistro & Gardens is located in a beautiful setting, offering guests the perfect place to sit with friends and enjoy good food and great beer. Stone is known for its award-winning beers and enjoyable atmosphere. 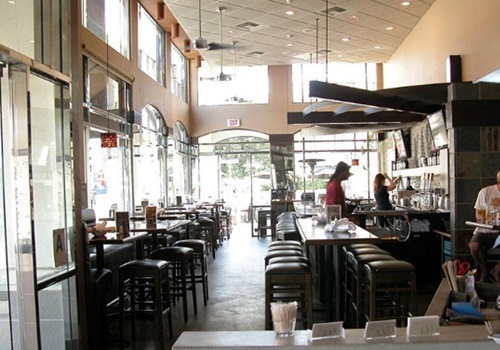 Pizza Port is known for putting out some of the highest quality pizza in San Diego County. While most people go for the pizza, the beer lineup is a big plus. 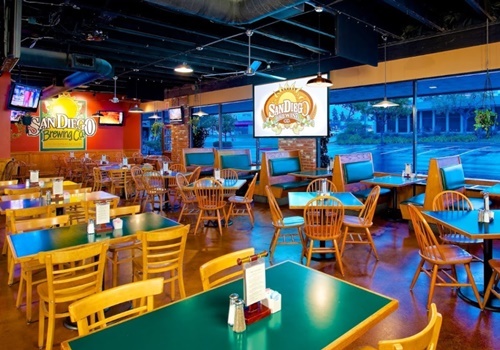 Pizza Port has several locations throughout San Diego County, including Carlsbad, Solana Beach, Ocean Beach and San Clemente. San Diego Brewing Co. is known for its incredible selection of beers, offering up to 50 varieties of beer on tap every day. Locals rave about the Blueberry Wheat and other favorites such as the San Diego Brewing Amber, Granville Gold and Old Town Nut Brown. But, with all the options, there is something for everyone. This San Diego favorite is located just east of Qualcomm Stadium at 10450 Friars Rd., San Diego 92120. Book a Limo and Go on a Beer Tasting Tour! These are NBC’s top picks, but there are several more fantastic breweries scattered throughout San Diego, making our city one of the best craft beer communities around. If you enjoy drinking a cold beer with friends, you should check out some of our local breweries. For information about a private San Diego brewery tour, contact Aall In Limo & Party Bus by calling 858-336-1894.